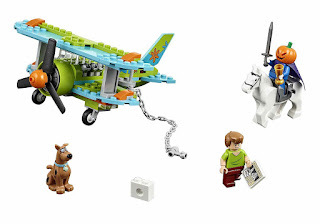 come with a mystery plane. 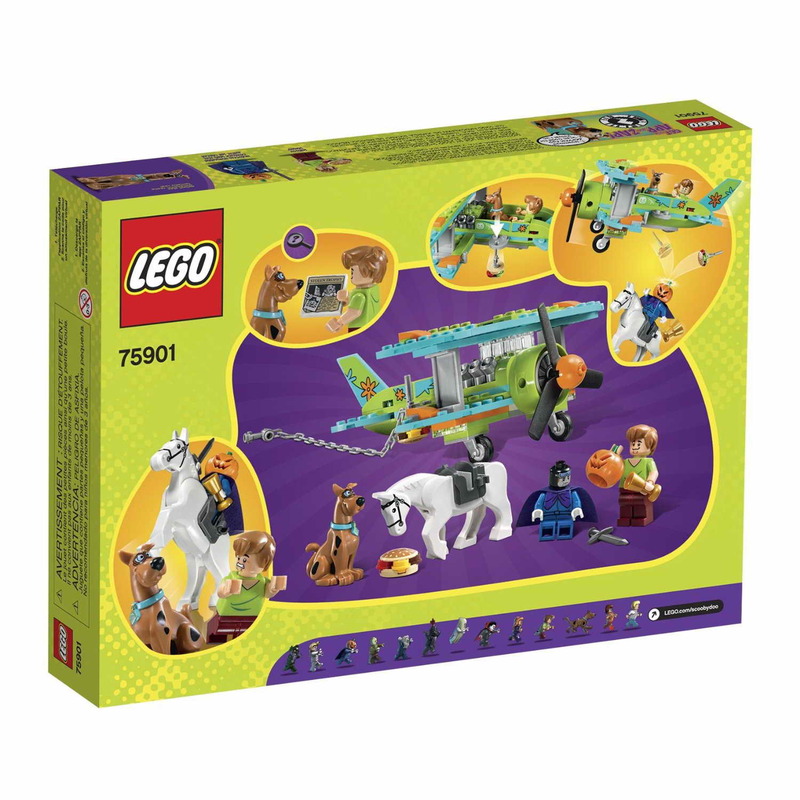 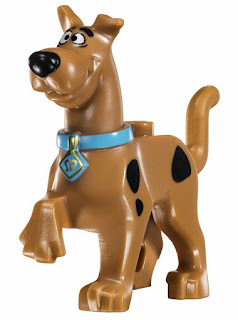 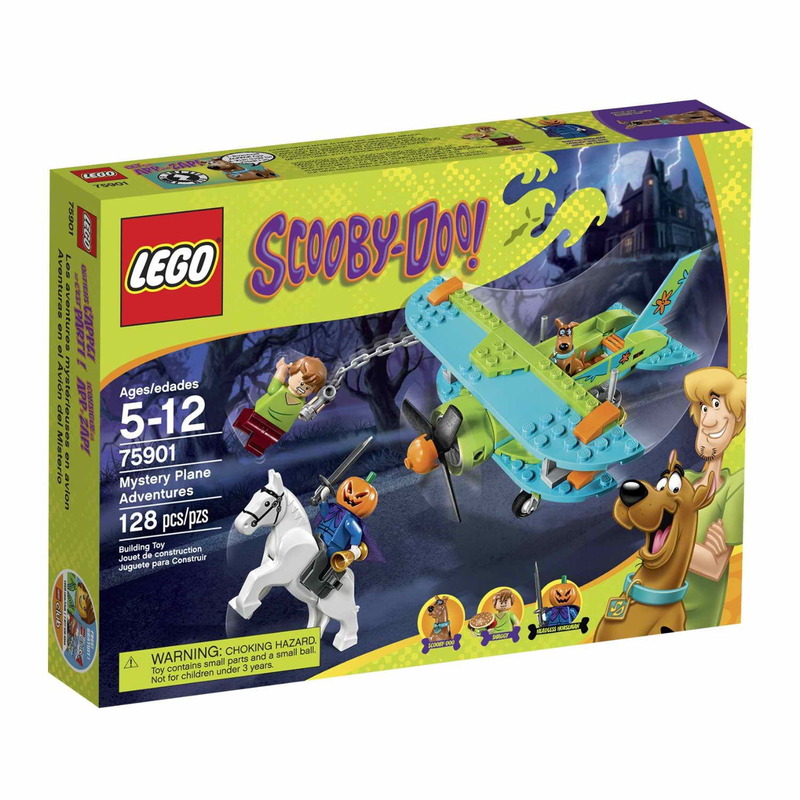 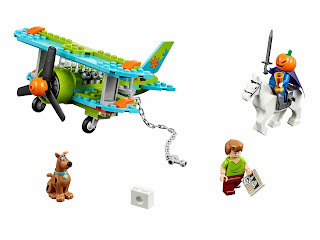 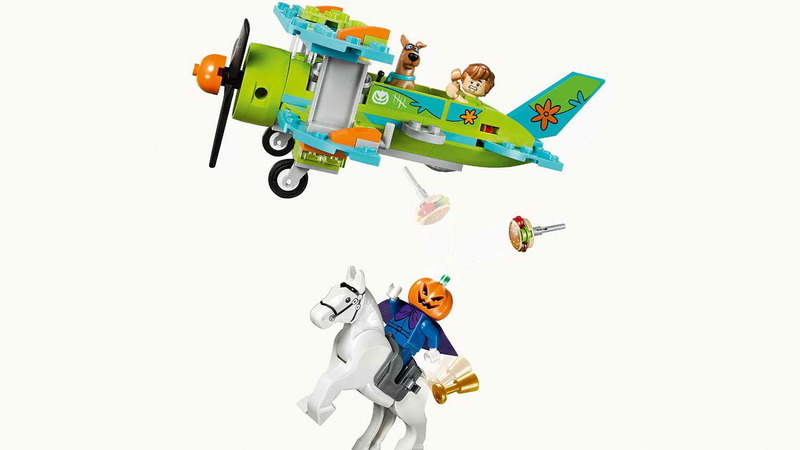 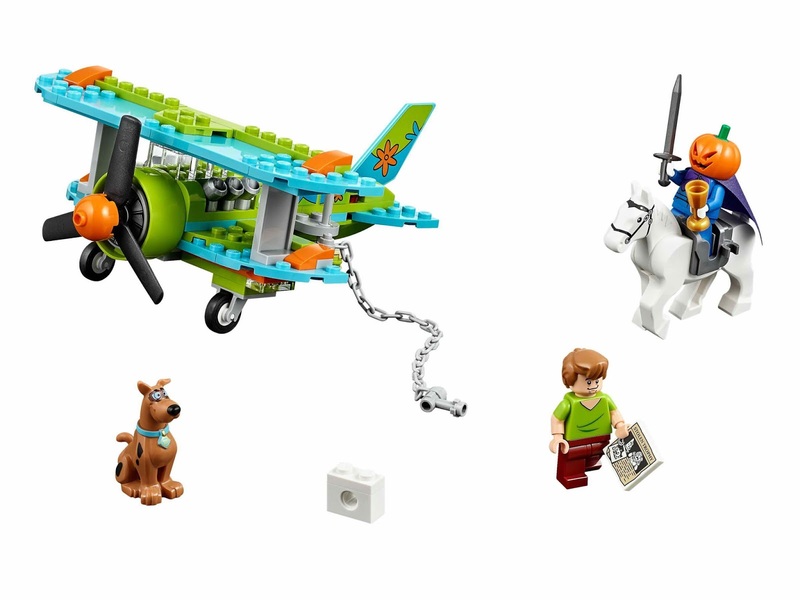 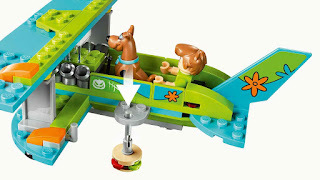 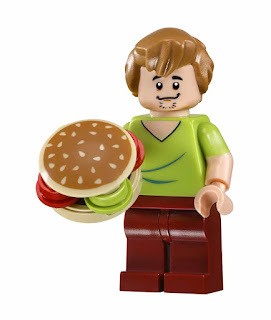 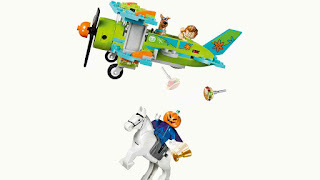 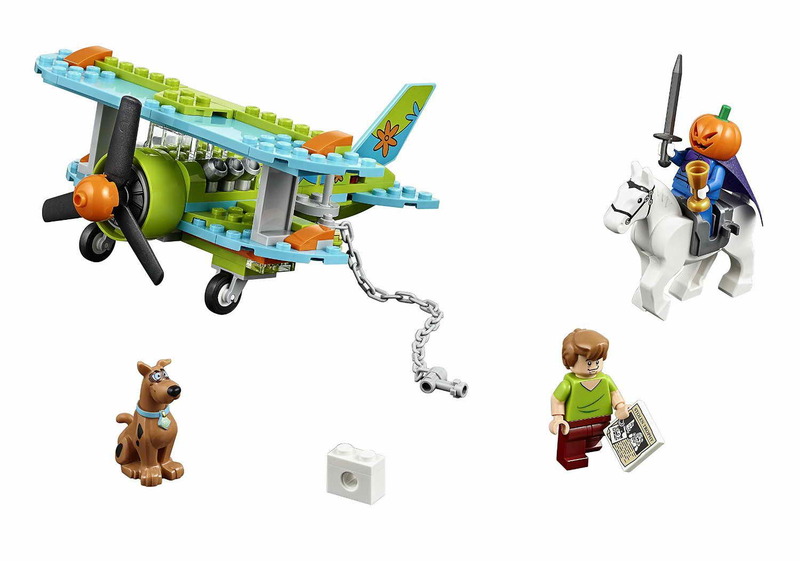 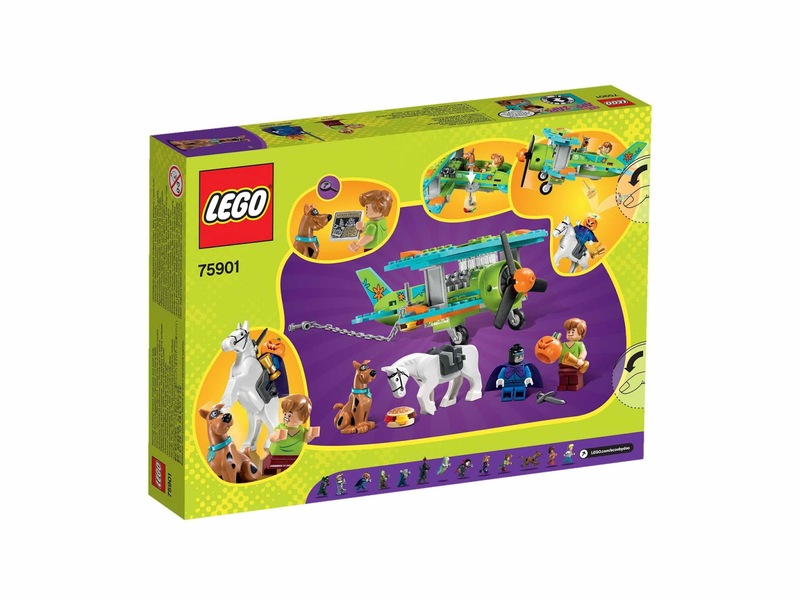 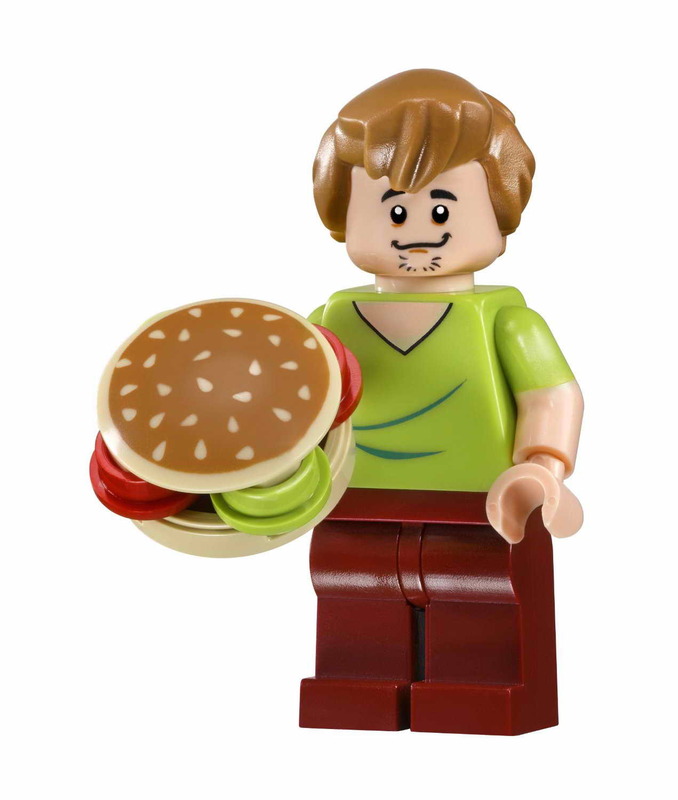 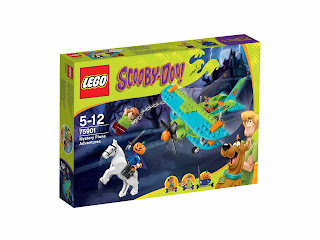 the plane has a cockpit for shaggy and scooby doo, a hamburger drop function, 2 brick built hamburger bombs, a chain with handle, a rotatable propeller and landing wheels. 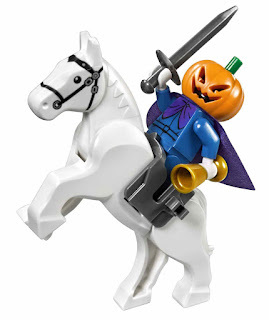 minifigs included a shaggy minifig and a headless horseman / elwood crane minifig. 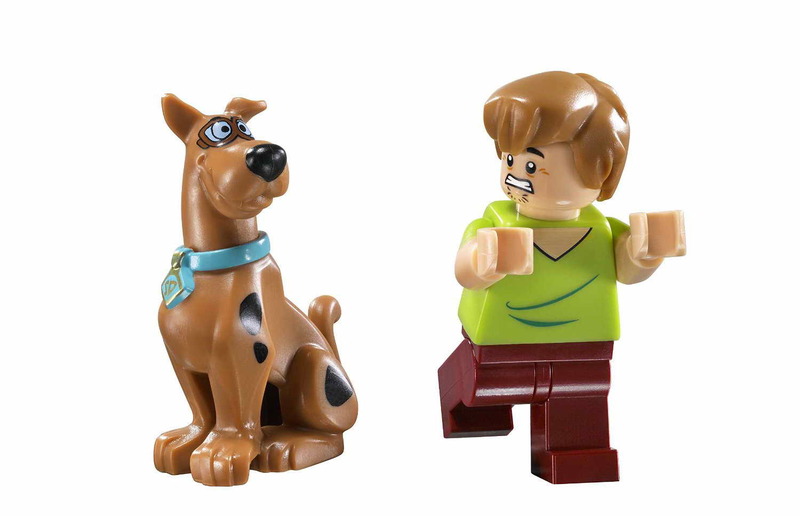 also included a scooby doo. come with a mummy museum. 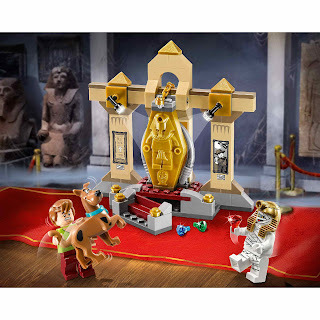 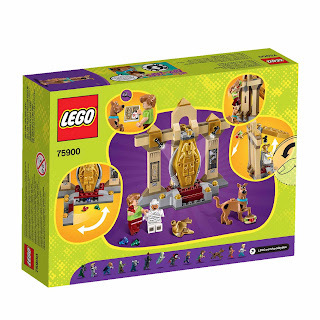 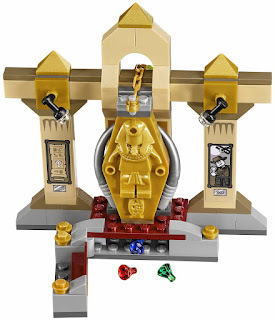 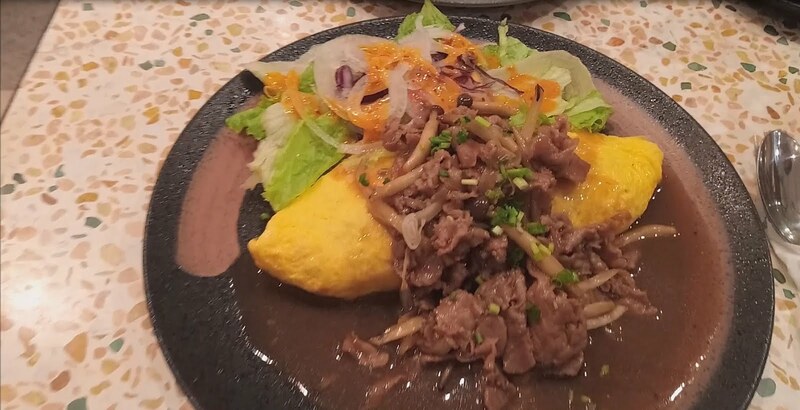 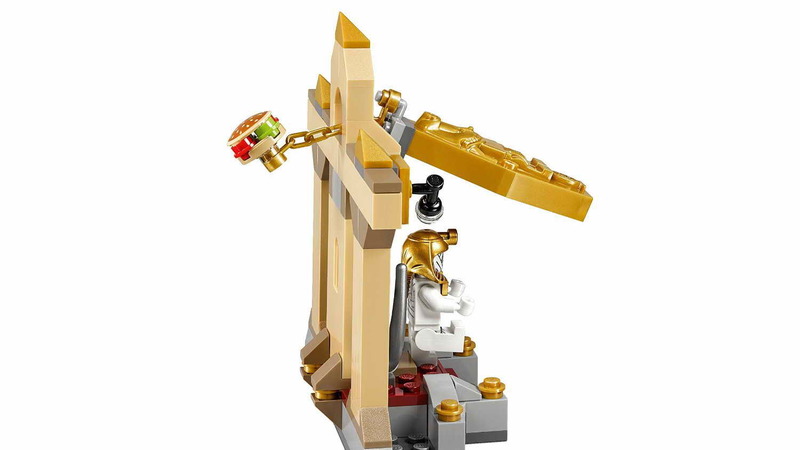 the museum has an openable golden sarcophagus with brick built hamburger and chain, a secret compartment in stairs containing 3 gem elements, spotlight style elements and a secret file tile with mystery clues. 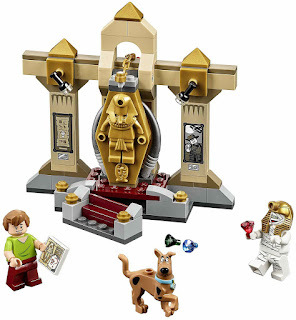 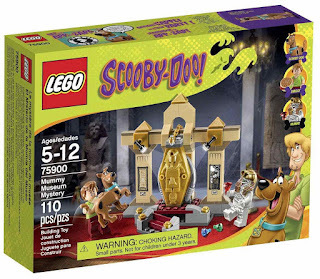 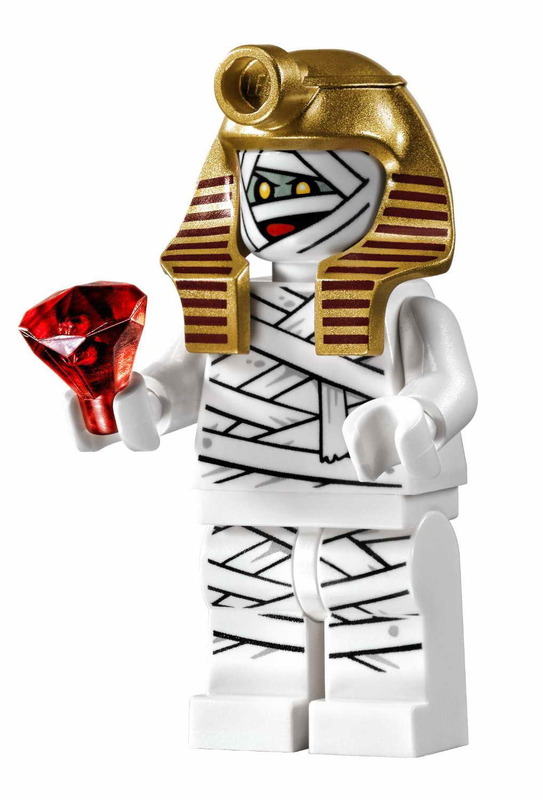 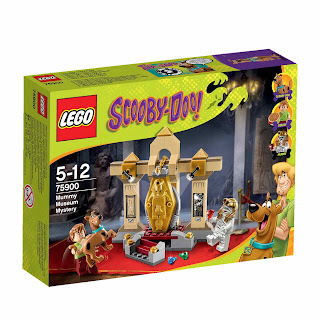 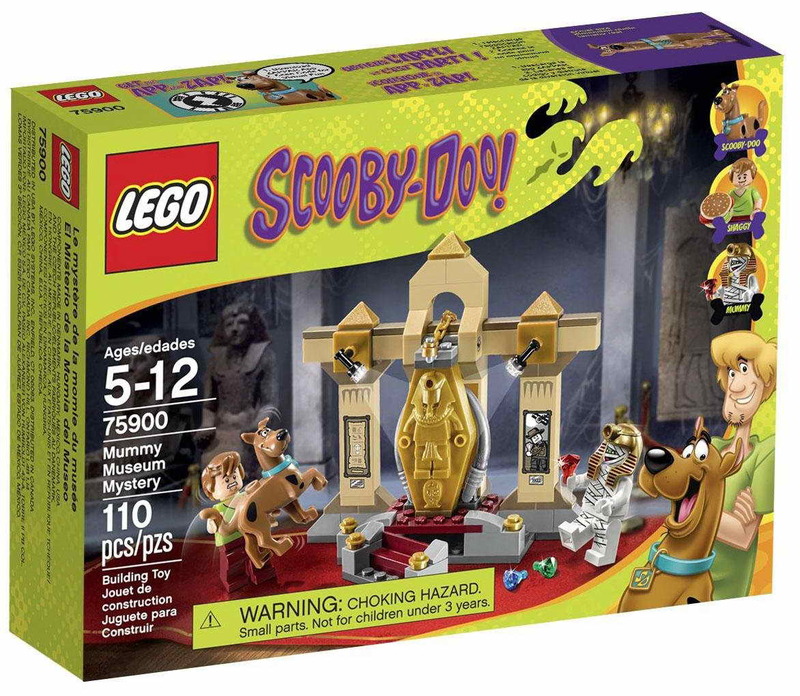 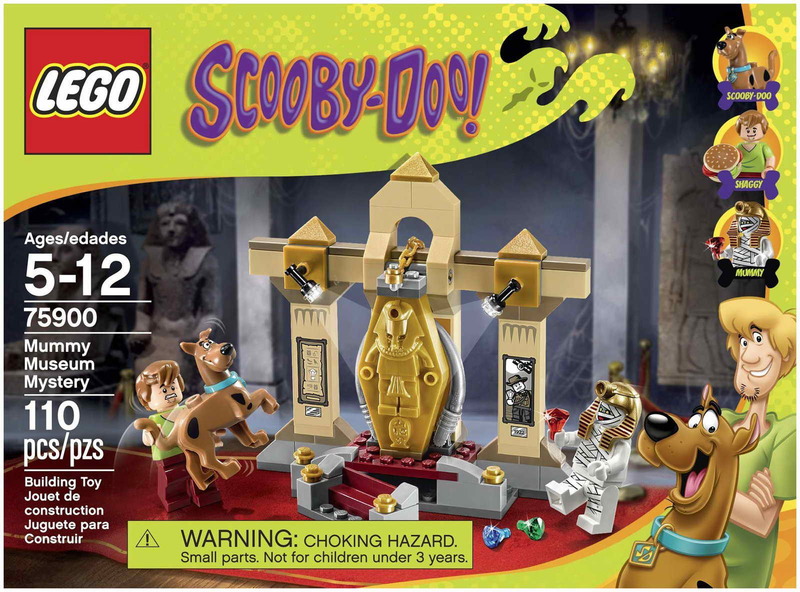 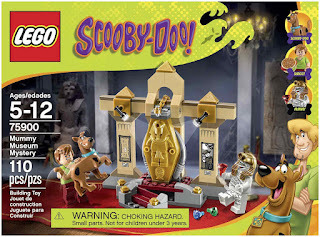 minifigs included a shaggy minifig and a mummy / dr.najib minifig.